After graduating in Electronic Engineering at Roma Tre University in 2005, with a MSc Thesis on “High frequency drive units modelling through finite element analysis”, he has worked for many drive units manufacturers, mainly for the PRO audio market, with a focus on FEM modelling, material properties identification and measurement techniques. 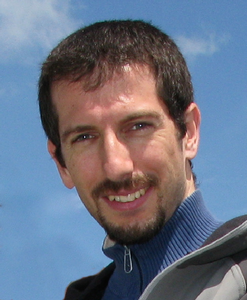 After a post-lauream course in Technical Acoustics at Ferrara University, in 2009 he joined the company “Architettura Sonora”, where he was in charge of acoustic systems design and integration for indoor and outdoor applications, with a focus on an innovative approach to noise pollution in urban areas, the so-called “Artificial Soundscape Approach”. In 2013 he moved to the UK to join the R&D team working in the Steyning Research Establishment of Bowers & Wilkins, and his main research interests here include drive units and cabinets modelling, innovative measurement techniques for loudspeakers characterization, listening tests and psychoacoustics.